The all new MAXAIR500 Submersible Aerator is a non-clog submersible aerator designed to convert an ordinary septic tank into an aeration tank or as a replacement for Multi-Flo/Enviro-Guard aerators. The MAXAIR500 is a high quality, reliable, non-clog aerator used in 500-2000 gallon tanks or 500-2000 gallon per day (or more) by adding multiple units. Don't forget to order replacement sock filters! The MAXAIR500 submersible aerator is a high quality comparable replacement for the Multi-Flo©* aerator. Multi-Flo© is a registered trademark of Consolidated Treatment Systems, Inc. All original manufacturer's names, drawings and part numbers are used for identification purposes only and we are in no way implying that any of our products are original equipment parts, or are affiliated with, or endorsed or approved by the original manufacturers. 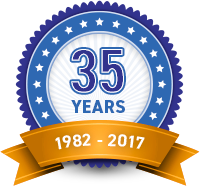 We offer a 2-year limited warranty on the MaxAir500 Submersible Aerator. Availability: In Stock, Ready to Ship! We offer a 100% Satisfaction Guarantee on your order from septictankparts.com. 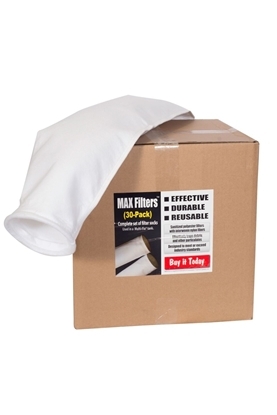 Unit Dimensions 25" x 9.5"
The Max Filters (30-Pk) are effective at trapping debris and other particulates. Each filter is made of high quality material and has been designed to meet or exceed industry standards for this type of filtration system. These sanitized, polyester filters are interwoven with nylon fibers, making them durable, reusable, and highly effective. Pack includes 30 filters for a complete replacement of old filters. System Maintenance: To ensure that your system is operating efficiently, inspect the sock filters and the system every 6 months. Any sludge in the interior of the filter should be removed when it exceeds 6" depth. Also remove any floating clumps of floc from the top of the filter. Sock filters should be replaced/cleaned whenever the system is pumped out, or if the aerator is shut off for extended periods, or if the filter socks have been plugged by grease, soap, residue or solids. A standard residential system should be pumped every 2 to 4 years. Filter socks may be used in a Multi-Flo©* tank. 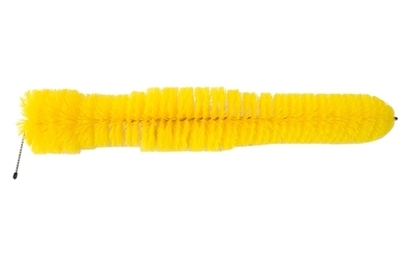 This SIM/TECH 4" Bristle Filter is an excellent filtration for solids, including toilet paper, hair, lint, etc. Easy installation just about anywhere, even square baffles. Easy and economical to maintain even in hard to reach places. Bristles self lock into place to prevent filter float up. Longer filter life because debris is sorted by size. Allows biological maturing necessary in wastewater treatment systems. Durable enough to be washed out, economical enough to be disposable. For use in residential, commercial and other applications. 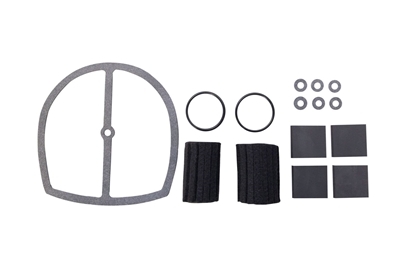 The SSIK478 Vane Kit is the compatible repair kit for Gast 0523 and 0323 oil-less models with internal filtration. The kit includes four vanes, one gasket, two internal filters and two o-rings. A new rebuild kit is recommended every two years. Gast compressors provide many years of dependable service but due to continual wear over time some compressor components may need to be replaced in order to continue to provide the proper air flow. Instead of purchasing a new pump, you may need to just replace some internal components. Whirlwind regenerative blowers are top quality. The Whirlwind R5760 Regenerative Blower is built for years of reliable performance. It has 1 1/4" ports, pre-wired 120VAC with cord, dual voltage 120VAC/220VAC, fits in Hoot/TroyAir and Bio-Microbics/MicroFAST units using 1 1/4" ports. Hoot Troy Air is a Registered Trademark of Hoot Aerobic Systems, Inc.
MicroFAST is a Registered Trademark of Bio-Microbics, Inc. The Whirlwind R5760 Regenerative Blower comes with an 18-month limited warranty. The Gast AT03 Rotary Vane Air Compressor is a rotary vane type compressor/vacuum pump with a rugged, low maintenance, and durable solution for just about any low pressure application. The unit has an enclosed fan-cooled motor which offers better protection against environmental conditions. Used in Nayadic and other systems. 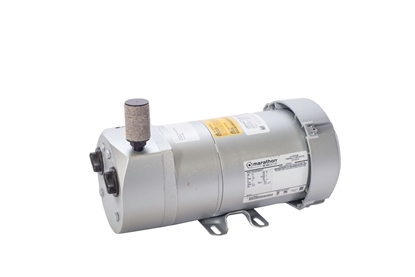 The AT03 rotary vane model from Gast features a 1/4 HP continuous duty motor, 26" Hg max. vacuum, 3.7 CFM open flow, and 10 psi max. pressure. The Gast AT03 Rotary Vane Air Compressor pump includes an internal muffler and filter, an external inlet filter, and a thermal protector to protect the motor from overheating and burning out. The rugged Gast AT03 has a tough cast iron housing. Sealed bearings provide a low maintenance and durable solution for just about any low pressure application. The Gast AT03 Rotary Vane Air Compressor comes with a 1-year manufacturer warranty. The Red Alert P101-2 Control Panel is designed for use with all brands of air pumps, vane pumps, regenerative blowers. Not for use with shaft style aerators. We offer a 2-year limited warranty on Red Alert Control Panels.